The MOV file extension normally represents a QuickTime multimedia file. QuickTime is a movie/video/multimedia format developed by Apple and is often used in websites, mostly for streaming audio or video. The QuickTime (.MOV ) file is known as a multimedia container file which contains one or more tracks stroring video, audio, effects, or text (e.g. for subtitles). Each track contains not only a digitally-encoded media stream, but also a data reference to the media stream located in another file. If you want to watch MOV files on some portable media players, like smartphones HTC Hero, Motorola Droid, PSP and so on, you have to convert MOV on Mac (macOS Mojave, High Sierra, Sierra, El Capitan, Yosemite, Mavericks Mountain Lion, Lion included) to other formats, say MP4, because MOV files are not compatible with these devices. Of course, an app, like MOV converter Mac is indispensable. 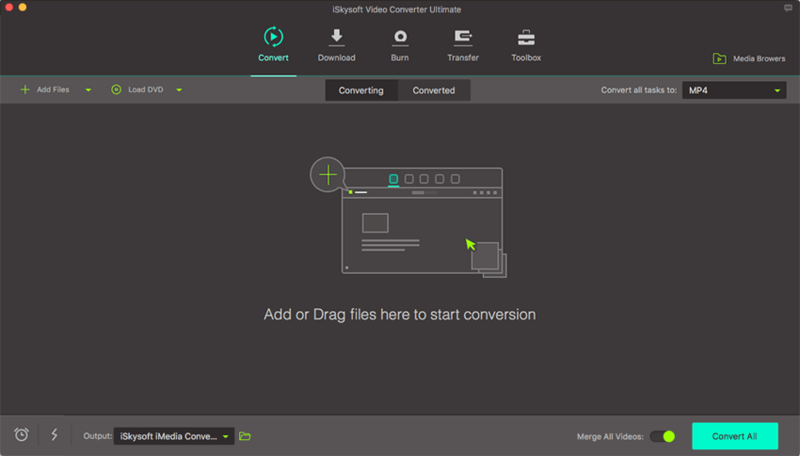 Here are the brief steps for how to convert MOV on Mac by using the MOV Video Converter for Mac. Convert MOV to Any Format as You Want. Convert MOV to various formats, like MP4, WMV, MKV, FLV, VOB, AVI, 3GP, etc. Trim or crop MOV files, add subtitles/watermarks/effects to your MOV videos before converting them. Extract audio from your MOV videos as MP3, WAV, WMA, AC3, AAC, etc. Burn MOV videos to DVD easily. Download music videos and more kinds of videos from YouTube, Vevo, Vimeo, Facebook, Dailymotion, Hulu and so on. Change audio formats with three simple clicks. Compatible with macOS 10.14 Mojave, 10.13 High Sierra, 10.12 Sierra, 10.11 El Capitan, 10.10 Yosemite, 10.9 Mavericks, 10.8 Mountain Lion, and 10.7 Lion. Drag & drop MOV videos to the Mac MOV Converter. Or you can go to the "File" menu, choose "Load Media Files" and navigate to the files you want to add. Before you convert MOV on Mac, you should choose the output format for the videos. You can find the one you need to choose in the format tray of the MOV converter Mac. Since the MOV converter Mac has preset some devices as the output format, you can directly choose the corresponding device as the output format if you want to watch the output files on the device. You can also extract audio from MOV to MP3 on Mac with this Mac MOV converter. 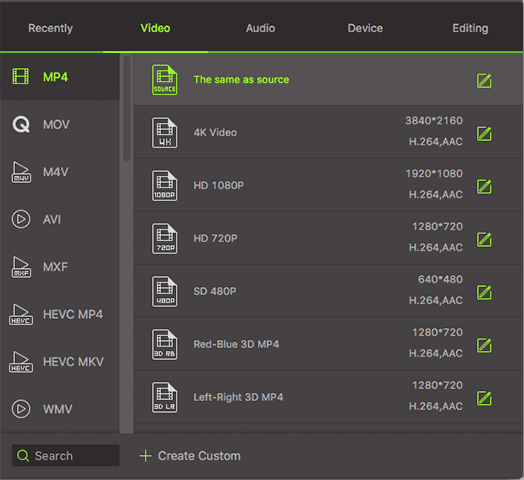 What's more, editing, cropping and triming video files are available too. You will know how to do it by going to How to edit, crop, trim video files and capture pictures on macOS. After all is done, you can press the "Convert" button to get everything done. The MOV Video Converter for Mac could convert MOV on Mac automatically for you.